"There's only a touch of mezcal in this drink, but it adds a delicious smoky quality. Be sure to use good quality mescal and tequila here. You can substitute Aperol for the Campari -- and play with the ratios of sweet vermouth to Campari and tequila to mezcal. Enjoy!" Place ice into a cocktail shaker. Pour in tequila, mezcal, vermouth, and Campari. Add a dash of bitters, then stir or shake. 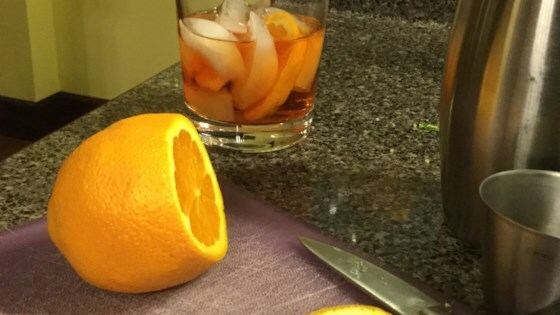 Strain into a ice-filled rocks glass and garnish with a slice of orange. See how easy it is to make a classic margarita. The BEST Margarita Mix !! !